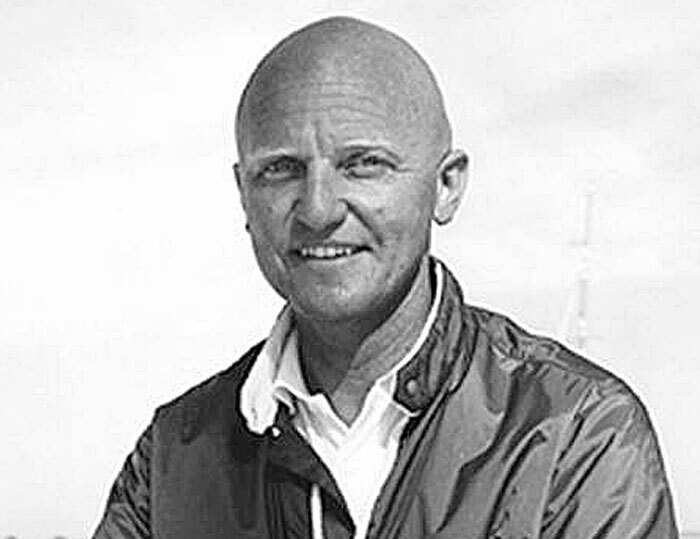 NEWPORT BEACH — Bill Ficker, winner of the 1970 America’s Cup, local architect and community advocate, is scheduled to be honored at the Newport Sea Base’s Good Sea Scout Luncheon, Oct. 3. Celebrating its 75th year, the Newport Sea Base will hold its luncheon and Good Sea Scout award ceremony at noon at Newport Harbor Yacht Club. For more than 40 years, Bill Ficker’s personal and professional commitment to community excellence has been unparalleled, according to a statement from the Sea Scouts. As skipper of the yacht Intrepid in 1970, Ficker successfully defended the America’s Cup for the United States. He is the only architect, and the first person in history, to win the America’s Cup, the International Star Class World Championship and the Congressional Cup. His contribution to advocacy plans and his leadership roles in bringing together diverse factions have resolved two major coastal issues, the Sea Scouts said. As chairman of the “Bridge Action Team,” he secured state and federal design and routing approval of the Back Bay Bridge at Pacific Coast Highway. He has been chairman of the Citizens for Ocean Access and the City Hall Park Initiative, where he led a committee that gathered more than 15,000 signatures to put an issue on the ballot for the relocation of City Hall. His public service awards include “Citizen of the Year” in Newport Beach, and “King Neptune Award” of the Newport Harbor Spastic League. He also received the Orange County “Honored Citizen” award for his continued leadership and service to the county and for bringing special recognition to Orange County in his defense of the America’s Cup. He received the “Community Service Award” in 2008 from Orange County American Institute of Architects. He was voted “No. 1 in Newport-Mesa’s 103 Most Influential” by the Daily Pilot in 2009, and in 2012 received the “Sunshine Award” for his many contributions to the quality and enjoyment of life in Newport Beach. Past honorees of the Good Sea Scout Award include Marshall “Duffy” Duffield, Jim Warmington, Dave Ullman and Duncan McIntosh. The luncheon benefits the Newport Sea Base, a facility owned and operated by the Orange County Council, Boys Scouts of America. The Newport Sea Base’s mission is to serve all youth of greater Orange County by providing quality marine programs that instill solid values, teach effective teamwork and provide leadership development. For more information or to purchase tickets to the event, call (949) 642-5031 or visit newportseabase.org. ← Are Paddleboard Lanes Coming to Newport?